I don't know if you have a tradition for what goes on on New Year's Eve, but here....usually all bets are off as DH has to run reports for Year End at his work. Month End and Year End always seem to loom ominously.....and the hours take their toll. So...he worked today....told me he would be late...and I decided, it was a good day to break with tradition and go grab some Mooshoo Pork to go at the hole-in-the-wall chinese take out place near me. MAN...it's been a while since I've had it, and it's messy and wonderful and I was reminded all over again how much I love Mooshoo Pork!! If you have never had it, try it this year. It's almost like eating a chinese burrito....the stir fry yummy-ness is wrapped in a rice wrapper much like a tortilla and a hoisin sauce is spread over the top before wrapping...truly a taste treat! At the end of my feast, I grabbed MY fortune cookie, eager to see what the words of wisdom would hold for me on this last night of 2009. "You will have gold pieces by the bushel." Quipped by Bonnie K. Hunter at 7:09 PM 18 Snips & Comments by others! Here I thought I would have so much time to post with being home, but with Christmas, the kitchen remodel, the addition to the quilting machine, and everything going on, my computer time has been severely limited! But that's okay....you can imagine me enjoying my evenings hand stitching bindings...endless bindings...to my heart's content. The only hard part is convincing the males of the household to watch something OTHER than sports, or ice road truckers, or alaskan state troopers or whatever it is. Can I PLEASE have something with a PLOT?! We have settled on things like Law & Order, NCIS, CSI, and all sorts of other shows abbreviated by initials. During the days I've been quilting, intermittently interrupted by poundings, hammerings, drillings, sawings, planings, and other multitudinous man noises. 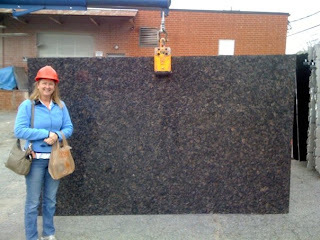 The granite was installed yesterday and it is BEAUTIFUL. 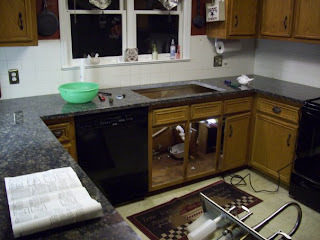 Still no sink..tho we should remedy that today. 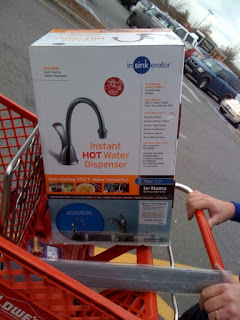 I bought a sink and faucet that included a soap dispenser as it's 4th hole accessory....but it had to go way on the right side of the sink...I have my garbage disposal on the left...and the soap dispenser is just kinda...ehhh...SO! Today I went and decided to install an instant hot water tap there in that 4th hole instead. May as well go all the way, right? 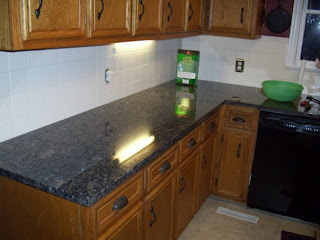 I have loved it at my friend Randy's house....and I didn't think I was going to have room under the cabinet because of the space the garbage disposal and the dishwasher take up, but turns out we can do it, so I am SO anxious to have hot water on tap, much better than having a built in soap dispenser! I've got a fire burning in my wood stove here in the basement studio. Toasty warm! It was 28 degrees when we went out for the hotwater tap.....I have no desire to go out there again, I just can't get into gear when my FEET are cold! 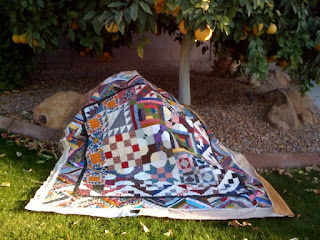 And if you think that's funny, just wait until I fly to Wyoming mid January for the Windy City Quilt Festival in Casper! Doesn't that just sound....balmy? :cD I'm bringing my warmest slippers! Quipped by Bonnie K. Hunter at 10:59 AM 25 Snips & Comments by others! Miles of Binding To Go! If children have "visions of sugarplums" dancing in their heads...I've got miles of binding dancing in mine! Bring on the "Home Alone" Marathon! I'm ready! Bring on Holiday Inn and White Christmas...I'm ready! These are the 3 projects that have come off the machine so far. First up? the Blue Lady of the Lake variation. I've loved this one for a long time, but you know what? that border was REALLY woooooeyyy....This top is at least 7 to 8 years old. I've learned a lot in that time frame....I quilted it with a floraly kind of design that took oodles of thread and I don't know how many bobbins to do. It took 45 minutes for one pass of the machine, and about 2 days for me to quilt it. Way too dense of quilting for my liking, but hey, I'm still learning. 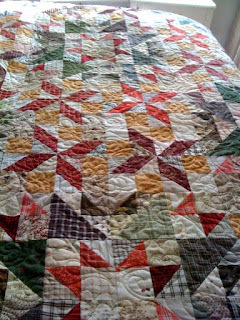 I'm loading a 4th...the Old Kentucky Album top that was just featured in the latest Quiltmaker Magazine. what you saw there was just the TOP..so now, I think I'm going to quilt it with the baptist fans. I LOVE fans, you know I do, and look how cool they look on this quilt!! This quilt doesn't even have a name! It was a shop sample that I made before I left Texas I believe. Again...really wide borders and wasn't inspired to do anything in them really. I LOVE the fans. 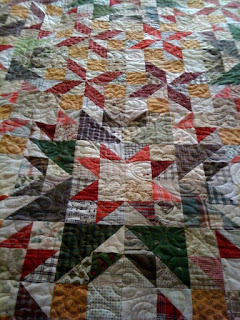 Funny thing is....I can't put the red binding on this quilt, until I get the Old Kentucky Album one going as well! I think having a quilt running in the machine is just like leaders & enders. You have to have something there so your time is being used in the way it should. Or something like that. This little ditty was the first. Stephanie from my guild in Columbia gave me a bag that had all these ENDS of pieced panels...you know how it is? You can get so many sections cut from a pieced panel, but what do you do with the odd ends? I made this Kaleidoscope top with them years ago as well. There are orientals and batiks and some others in it. There is one piece of oriental fabric that I just love..it has a waving white kitty that reminds me of Oscar! He only appears in that one section of the quilt. Fun. The orange binding was sent to me from a friend knowing I loved orange,it was what was left over after she used one of my patterns. So it was fun to use it as the binding on this quilt. 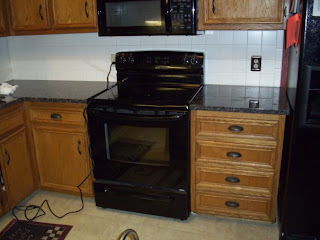 On the kitchen remodel....well...the guy just left from doing all the planing work to level the cabinets. It's nearly Christmas, so I won't be able to get the granite installed now until next week...maybe the week after because of New Years? Oh well..it will get done. Quipped by Bonnie K. Hunter at 10:39 AM 16 Snips & Comments by others! Thank you, Santa for finally giving me a way to clone myself when I didn't think there was a way I could carry on and get it all done! The Compu-Quilter has been a life saver! Since last (a week ago) Tuesday I have completed the quilting part on 2 quilts, and the 3rd is 3/4 done. In true clone fashion, today I was able to sew, press, attach a binding to the big 106" square blue/white lady of the lake quilt while the third one was happily being quilted on the machine AT. THE. SAME. TIME. Thank you thank you thank you, Santa for putting a new spark in my life long love of quilting and making me a very very happy little girl this Christmas!! Quipped by Bonnie K. Hunter at 6:36 PM 7 Snips & Comments by others! What a year it has been....and what a year we have coming! I'm trying not to think about the (*&#@$(*& filthy animal who rear ended me, hit and run style, on Peters Creek Parkway about an hour ago. It just brings me down how someone can just up and take off as soon as I got out of the car to assess the damage! Maybe my mood is NOT that down, because they opened a BRAND NEW Goodwill complete with Clearance Center on Peters Creek Parkway, and not even a hit and run from behind could wipe this smile off my face!!!! Okay, so I only bought a couple shirts and a pair of XL pajama pants...all 100% cotton for cutting up for quilting! Throw in 2 blouses for me, and a pair of jeans, and a bill of less than $5 and I'm happy! Quipped by Bonnie K. Hunter at 2:02 PM 10 Snips & Comments by others! Part 7, The Big Finish!! You can get to part 7 HERE! You know, with the snow storm that came through, I completely missed my opportunity to take any decent OUTSIDE pictures! and this is a big quilt. I was able to put it on the rack in my sunroom, which is NOT heated and was more like an ice box than a sun room at this point! I really REALLY love the back! Yes, it could have been a whole nuther quilt, but how many big Christmas quilts does one girl need? And this will travel alot better, two for one. 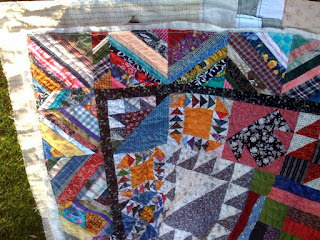 I was happy to find a home for the house blocks that didn't fit in the "Welcome Home" quilt either. And you know what? I used lots LESS of the Christmas fabric I originally thought I'd find a home for too, so guess what...it can wait til next year! It's been fun working on this with the snow falling outside the past couple of days. We've got the new wood stove fireplace insert installed and upstairs is toasty warm! Quipped by Bonnie K. Hunter at 9:23 PM 30 Snips & Comments by others! I feel like a little kid on new skates for the first time, afraid to let go of the rail! I'm now loading an older quilt top I finished years ago, and I'm going to quilt a simple pantograph on it. The thing that scares me the most? Broken threads & running out of bobbin! I'm so used to being able to just grab that machine by the handles and moving it off, or moving it back and starting where I left off, and now it all has to be directed by where I set the computer and it's a bit frustrating right now. 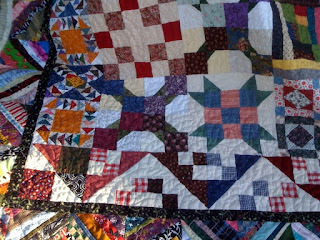 At the same time, it has put new life in my desire to continue long arm quilting as I go into 15 years of long arming. 1995 can't really be that long ago, can it? I guess it can! 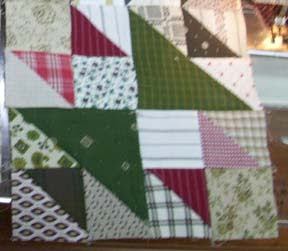 I'm working on the directions for the pieced border for Carolina Christmas. It's about 1/2 done....I hope to get it uploaded by this evening, as last evening just didn't happen! My thoughts here are....get the quilt quilting, and in between, work on the pages for the border. Can I really multi-task this? 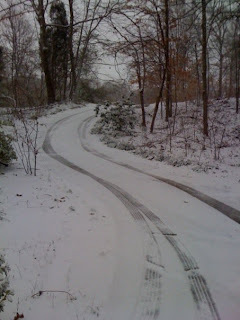 On top of everything else, we've been pounded with snow and it is sure beautiful out there! The sun is coming out, just making everything sparkle. 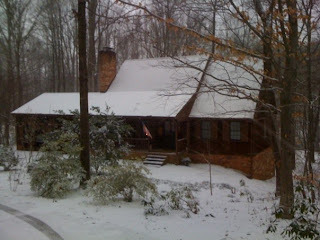 Yes, it feels like Christmas in the Carolinas! Quipped by Bonnie K. Hunter at 9:59 AM 11 Snips & Comments by others! So..I put the link in the side bar for pre-ordering Adventures with Leaders & Enders!! Quipped by Bonnie K. Hunter at 10:47 AM 12 Snips & Comments by others! 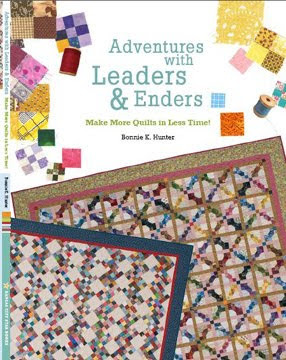 I got my first look at the cover of "Adventures With Leaders & Enders" Yesterday! I am so tickled with how colorful it is! YES! This is just what I wanted! I had sent in little extra 4 patches and 9 patches to be scattered about here and there through the book and some of them landed on the cover! You will notice that some of them are from the Carolina Crossroads mystery before it was put in the first book, those 9 patches with the one odd corner square might just belong to some of you who sent them in to me! The book goes to the printer on Thursday. From there I will get to go over the proofs one last time before it goes to print....this is the part I love! On the counter top thing...this is the part I hate :c( Once the original counter tops were off we found that some additional leveling has to be done professionally, so we are on hold again. Someone should come either Saturday or Sunday, but until then I have no kitchen water, no sink....so it's still doing dishes in the bathtub, which wouldn't be bad except for the sliding glass door on the tub that gets in the way. It's okay. If I can't cook and can't wash dishes, I figure things will be free here for the next few days for me to concentrate on learning the basics of running the compu-quilter on my millenium! We got things hooked up yesterday, and I've been doing some practice lessons on the computer it is hooked to, but no actual stitching has been done yet. I did get some yuck fabric loaded so I can practice on something I don't care about. That will come today. Quipped by Bonnie K. Hunter at 8:50 AM 10 Snips & Comments by others! If good things come in Three's...I've got it in spades! On top of that, I got a call last night that the guy coming to install my compu-quilter to my Millenium is coming...TODAY!! AAUUGHHHH!!! The quilt studio is a disaster. I wanted to be up at 6 to clean it, to make room for what he needs, and I woke up at 8:20!! I know I must have needed the sleep, didn't sleep well the night before.....but still. Embarrassing to have anyone see this mess, it's been a catching ground for everything! My book "Adventures With Leaders & Enders" is going to print THURSDAY!!!!! Still a few details being ironed out on that at last minute, including the fact that I haven't seen the cover yet and I'm supposed to spend time with my editor on the phone today going over last minute front matter elements? With the compu-quilter guy here and the counter top people?!? Hmmmmm it's going to be interesting to say the least. I woke up to a lovely in my email this morning tho, Forest Jane has designed another lovely badge for those participating in the Carolina Christmas Mystery! You can right click and save this badge and upload it to your own website/blog. If you can, please link it to the intro page of Carolina Christmas at http://quiltville.com/carolinachristmas.shtml so people can click your badge to get to the page. I better get going....wish there were some elves to come help me with all this stuff today!! Quipped by Bonnie K. Hunter at 8:38 AM 8 Snips & Comments by others! I just uploaded part 6....so you've got my layout there to look at, but many other layouts are possible depending what you decide to do with your blocks. Let your imagination run wild! You can find part 6 here! Quipped by Bonnie K. Hunter at 12:37 PM 19 Snips & Comments by others! I've finished quilting the baptist fans in the center of this orphan quilt! I haven't really touched it much since leaving Paris, but between the flight here to AZ, and the time I've had here to work on it in between other things..it's amazing how far you can get just a little bit at a time! Yes, It's being quilted with red thread, and I love that you can see the little dots of colors here and there. We've had a lovely time. Today the weather has been absolutely gorgeous. We even enjoyed a long walk in a nature area (sorry can't remember the name) and loved watching the ducks down by the pond and seeing the desert foliage, etc. Dinner for my dad is tonight to celebrate his 70th. Tomorrow is the last day (sad) and I am headed home on Sunday! Quipped by Bonnie K. Hunter at 6:13 PM 9 Snips & Comments by others! I arrived yesterday after multitudinous airport delays! We sat on the runway in Greensboro NC for 45 minutes because we were informed it was snowing in Chicago! 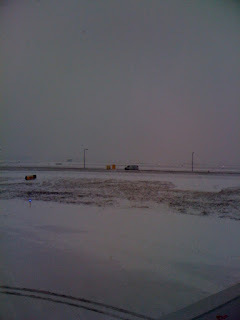 Good thing I had the hand quilting with me :c) This pic is of the snow through my window upon landing. The only thing it doesn't show is how the snow was blowing SIDEWAYS!! :cP We sat here on the runway while they cleared stuff so we could get to our gate. Once arriving in Chicago, I barely had time to get from F terminal to C terminal to catch my plane...walked right on board without having to stop and wait..they were already boarding. Once buckled in, huffing and puffing, we were told we had to wait for the de-icer truck to make its way to us...and that took another 45 minutes! 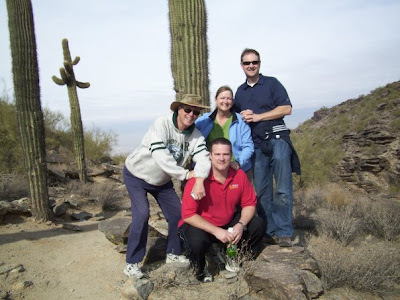 Let me tell you, we were lucky to get OUT of Chicago, in fact, when we landed in Phoenix, I overheard a gate lady telling several frustrated passengers that they were not going anywhere because Chicago had been closed down with nothing going in or out for more than 3 hours. Well, my flight was 3 hours 45 minutes, so I think that we were probably one of the last planes to leave O'Hare! I met my brother's plane just as he was landing, a few gates down from mine. What a wonderful reunion! We were met by my dad down by baggage claim and off we went to go see my other brother at his office. I'm having a wonderful reunion with my family. This pic is of my two brothers (both younger than me, yes I am the old one!) 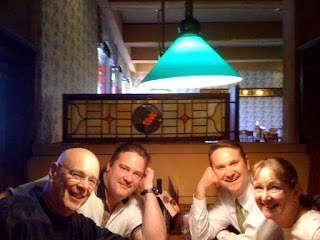 and my dad...the 4 of us have not been together at the same time in 7.5 years. Way too long. Last night we all went to my nephew's high school choir Christmas Concert, and it was fabulous. A real family time of love and support. It was just what I needed to get me into the Holiday spirit. I met my young niece, Ashley, who is 7 years old. The first time I got to hug and hold her and she is 7. Where do the years go? She has glued herself to my lap and my side, and my heart is full with being loved on by a little girl, a blessing that I have missed in my life since losing my daughter in infancy. I never let myself get too close to little girls because it hurt too much, but even that is healing as I spend this time with family. And this is getting pretty long and deep, so I'm going to end it here and wish you all the same...the joy of loved ones around you, related or not. We're all on this journey together. Quipped by Bonnie K. Hunter at 10:43 AM 17 Snips & Comments by others! Step 5, Let The Blocks Begin! It's up and ready folks. I've tried to keep things as simple as possible in this step, even fewer photos because the more photos I seem to put the more confused people get. You can find step 5 HERE! It is also linked at the bottom of part 4. I am leaving in the morning to go visit family in AZ! I'm returning Sunday, the 13th....so you will have almost a week to finish step 5 before we move on to the layouts in step 6. 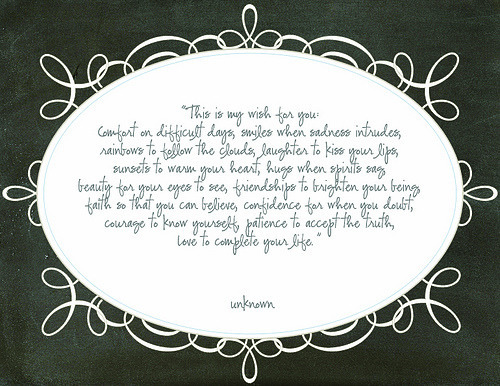 Quipped by Bonnie K. Hunter at 7:11 PM 11 Snips & Comments by others! Part 4, Up and Ready! I'm feeling really tired today. No gym today. Just can't do it. I was going to do a yoga class, but after yesterday, I'm so sore I can't move! It wouldn't be a pretty sight. I am excited! My friend Karen and I are going to go to the "First Friday" Art Gallery tour this evening! I'm meeting her down town at 4:30. Since moving here (almost 2 years ago, can you believe it?) I really haven't had the time to discover all the wonders of Winston Salem. At dinner the other night at the Thai place downtown, she mentioned all that was going on, and I jumped right on it! I don't have to be anywhere else....this sounds like fun! Quipped by Bonnie K. Hunter at 9:42 AM 7 Snips & Comments by others! Perched on the edge.....of 700!!! Part 3, Red & Ready! And What Could THIS Be? !